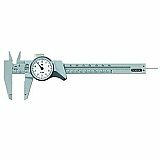 Plastic Dial Calipers offer precision measurements at affordable prices, making them a great choice for hobbyists and do-it-yourselfers. 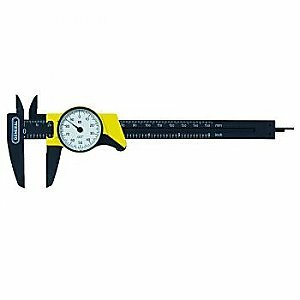 This thousandths-reading caliper features a no-glare dial for accurate readings of inside, outside, depth and step measurements. 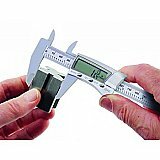 The slide is easily advanced and retracted with a free-wheeling thumb roller, and the 6" bar scale is marked with 1/10" and 1mm graduations for guaranteed accuracy. 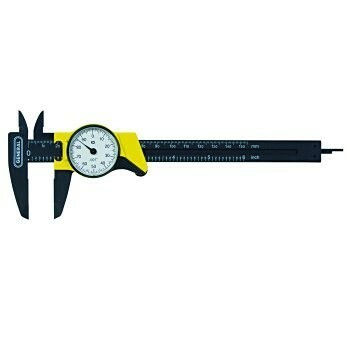 Made of high strength fiberglass reinforced plasitc. Easy to read dial with glare-free lens cover and adjustable bezel.